For our out of area clients, Tenant Realty Advisors will manage the process to relocate or undergo a tenant improvement project. 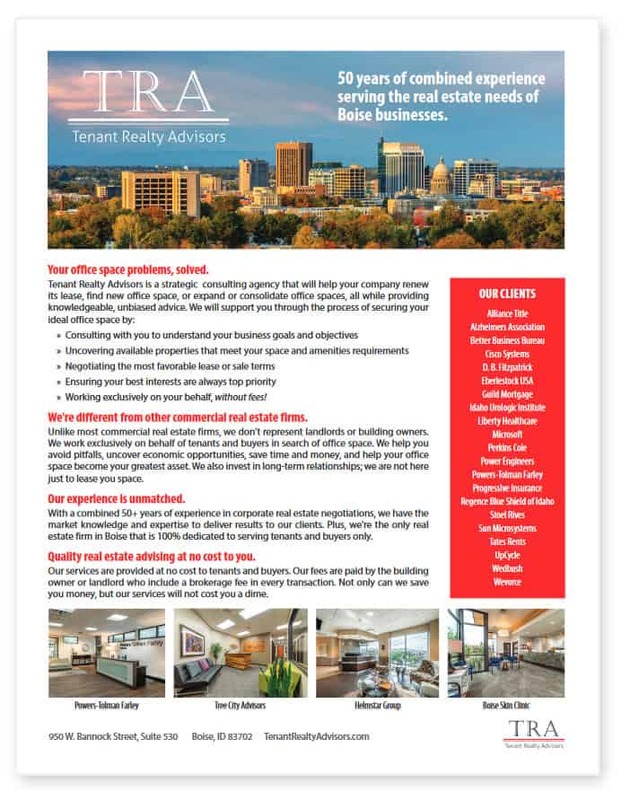 As many of our clients have limited real estate resources in their branch locations, Tenant Realty Advisors can be a great partner in facilitating a corporate relocation. Please contact us for more information.